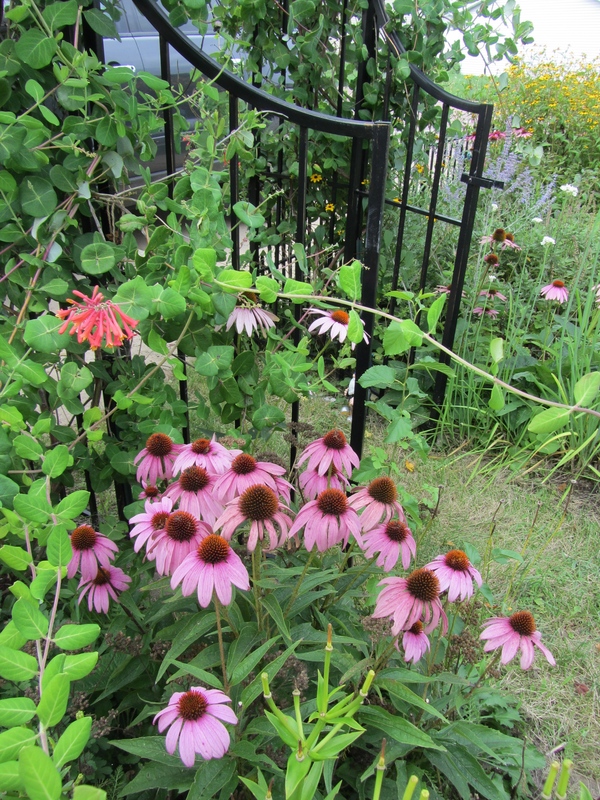 Lisa Newland created her all season cottage garden with a plan for color and patience as she added plants from many sources including her gardening friends over time. At her entrance the honeysuckle vine drapes over the wrought iron arbor, welcoming all with cone flowers. Soon her front yard garden-instead-of-lawn will turn into a “haunted garden” and later a Christmas village scene. She makes use of her yard as an expression of her create interests. Here the story about Newland and her all season yard. We hope you will comment if you wish and look for more topics of interest to gardeners of USDA Zone 4 – 5a here at Plant Exchange Blog.